Nicki feels the need for speed! Nicki Hockly (RGN), Head of Unit at Plas-Y-Dderwen is a very busy lady. 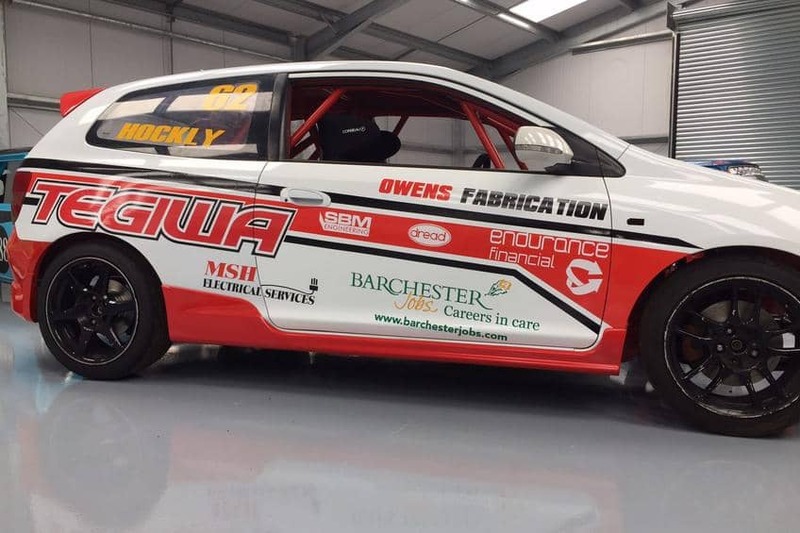 As well as heading up a Unit at the 70-bed nursing home in Carmarthen, she is also a mother to a 4-year-old and 7-month old, and supports her husband Darren when he is racing his circuit car around the UK. “I love being a nurse, especially in elderly care. It wasn’t something I initially thought of, but a friend of mine works in a Barchester home and when we relocated due to Darren’s job he suggested I apply for a role with them. I worked as a nurse in Hafan-Y-Coed for a few years and then transferred across to Plas-Y-Dderwen as Unit Manager. I am very passionate about my work, and my residents are part of my extended family. I was so keen to see them all after I gave birth that I was back on my Unit for a few days a month when my little one was only 10-weeks old. My manager has been great and I can balance my shifts so I get to keep the career I have worked hard for but also spend time with my children. Modern life for young families is difficult these days and there are always balances and compromises to be made. My husband looks after the children on the days I am on duty and then I look after them when he is at work. We try and keep racing days as family time. We both have racing in our blood: Darren works in the motor industry and circuit races his own car on some of the bigger circuits around England and Wales, and I was Shropshire Ladies Autograss Champion a few years ago! We always try and go to support him, though sometimes I get a bit envious. The last race I was in, on the Welsh circuit, was over a year ago. It was a hectic one, the ladies in Wales are tough! When the kids are a little bit older I’m looking forward to getting back into to it.